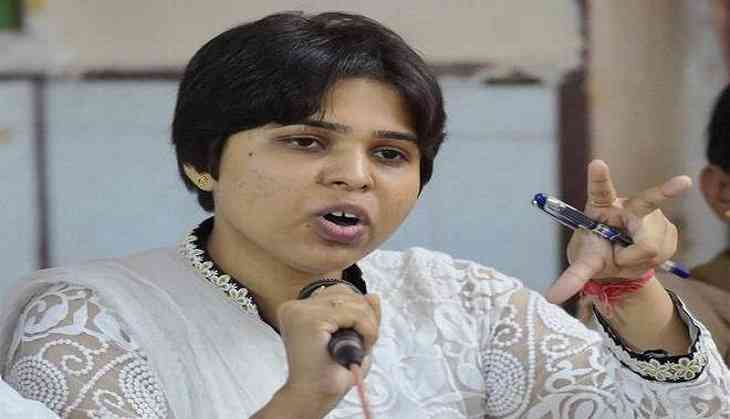 As the devotees are up in the arms against the Supreme Court verdict on allowing women of all ages to enter the temple, women rights activist Trupti Desai said she will soon visit the temple since the court allowed them. Talking to a Malayalam TV channel in Mumbai, Desai said “We will announce a date very soon to visit the Sabarimala Temple as the apex court has upheld the fundamental rights of women... There should be no attempt to stop us because we now have equal rights”. Desai is one who was at forefront to open up shrines lik Mumbai’s Haji Ali dargah for women. That was closed to them. Kerala Bharatiya Janata Party President P.S.Sreedharan Pillai sharply reacted to the remarks of Desai, who is the founder of Pune-Base Bhumata Brigade. He said Desai should challenge the emotions and feelings of the devotees of the temple dedicated to Lord Ayyappa. Pillai is one who is leading a march in protest against the Supreme Court ruling on Sabarimala women entry. Reacting to Desai’s decision to enter the temple, Rahul Eashwar, a member of the Sabarimala tantric family, said “We will be staging a protest in true Gandhian style if there is any attempt to break the traditions and culture of the temple. We request her to pray in other Ayyappa temples in the state and not at the Sabarimala temple”.